I am new when it comes to 3D scanning using the Structure Sensor. I currently want to get the rgb frames as I am scanning (using Skanect). Also at the end the camera path is shown. I would like to extract that aswell - (I assume it will come in a matrix format for each frame ?). I am using an iPad A1474 - Which they mention you get “limited functionality”. I read that if I use the calibration app to calibrate the sensor I might be able to get the rgb frames ? I already did and I still dont get them. So I do get an RGB image but that is for certain keyframes only ? Also how can I use files such as “depth16bits.lzf” or “rgb_pose.avs” ? 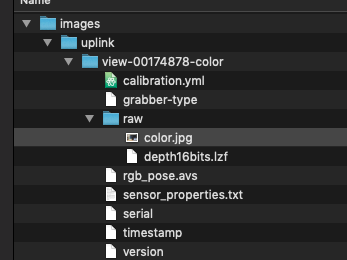 Last question what exactly is the “calibration.yml” file ? The extrinsics and rotation and translation values seem to be the same for all frames… Shouldn’t this change ?